We shoot a lot of large weddings. Occasionally, we get to shoot intimate weddings. Often you get the opportunity to be more personal in this kind of wedding setting. I loved working with this family. The kids were adorable, fun, and had wonderful manners. The couple was amazing and you could tell how deep they love each other. The week had been warm until the wedding day. The temperatures dropped overnight and we were faced with cold weather. We started the day off photographing Chad and the guys and then Desiree and her family. As the finishing touches were being done I was able to capture the reception area and the ceremony set up before the day started. The ceremony started on time. Even though it was chilly, everyone was able to huddle close and keep each other warm during the ceremony. We got most of our portraits done after the ceremony and went in to warm up for a bit before finishing our portrait list. We were able to get most of the main events done at this time and then went out to finish up the portraits and romantic portraits toward the end of the day. The day ended with the cake cutting. A great day was had by all! P.S. One of my favorite ideas from their wedding: Dinner- They had a taco bar! First date: Chad and I had our first real date at a small local coffee shop in March 2014. It had taken lots of navigating back and forth through our work and child care schedules to arrive at this small window of time and in this quaint place to learn more about each other. He came straight from a long hard day of work, still in his uniform and I was in my favorite mom jeans (how he describes them) and blouse. We must have looked like quite the odd couple as he ordered his iced green tea and I ordered a tall dark roast, no sugar, a splash of cream. We made our way to a quiet table and it all began to come together. We laughed and joked as we talked about work and family, music and cars, food and travel. In that brief time, we found we had a lot of differences, but many more similarities and what bound us together was our passion for life and our love for family. I knew we would share a second date and many more because we were both still open to the notion of love and not jaded by the failed relationships of our pasts. Almost most 4 years to the day after that date, we said “I do” on the shores of the Outer Banks! We chose to have our wedding in the Outer Banks because we dreamed of a wedding that was all about our families and the blending together of our children into those families. 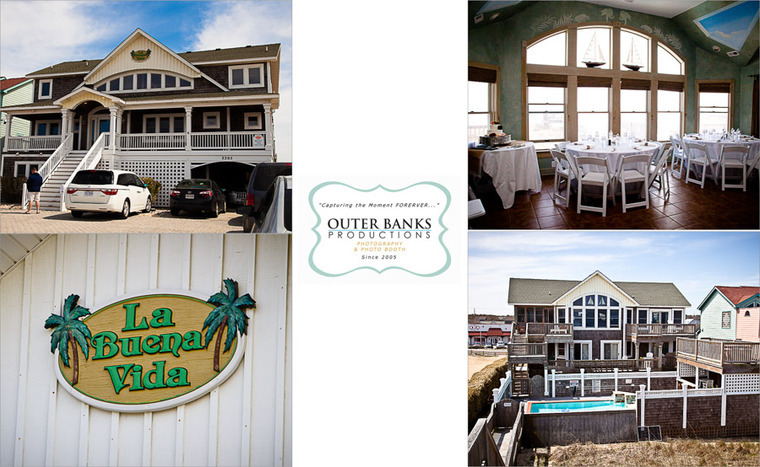 The OBX provided a beautiful location as well as spacious properties where the families could relax and coexist in the days leading up to the ceremony. This time was perfect for allowing the families to bond and get to know each other and for our children to see that going into the big day. 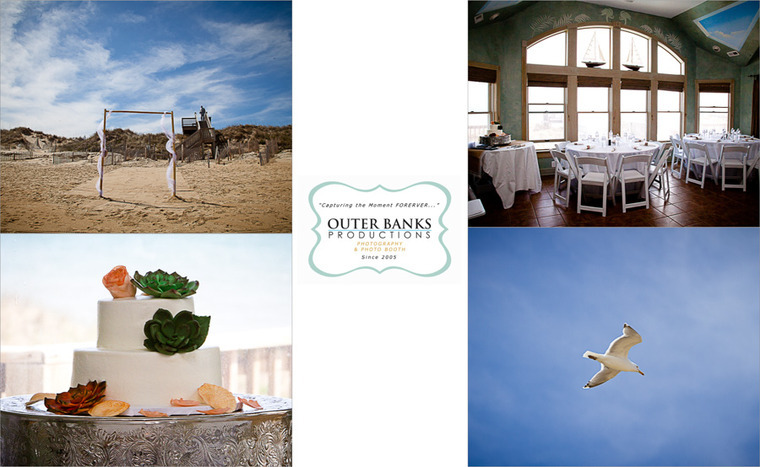 We had always dreamed of a beach wedding and choosing to have our wedding on the beach of the Outer Banks ensured that so many of our family and friends could be there to share it with us and our children. Planning a wedding from afar was tricky. We did not have an opportunity to visit with any of the wedding vendors we had chosen. 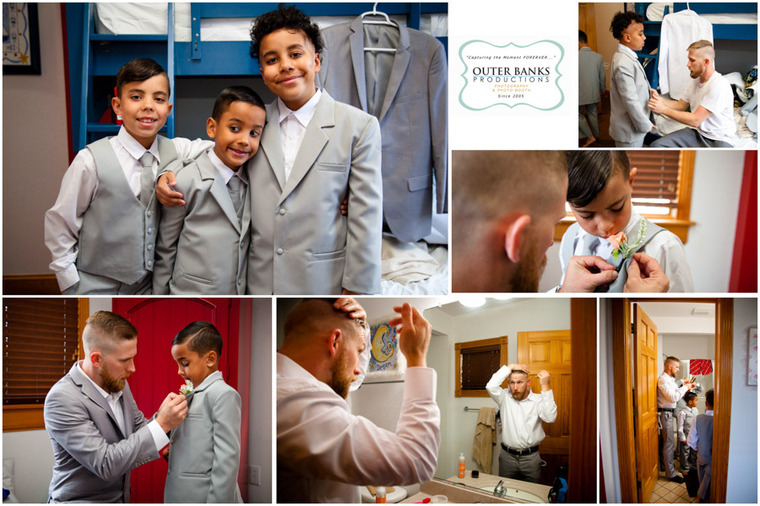 We received some fantastic recommendations for photography, cake, and hair and makeup through the miracles of social media and used our instincts to choose the best venue, officiant, and decor vendor. We were very pleased with how beautifully everything came together and with the level of professionalism and communication from all of our vendors.